To make films that capture nuanced, intimate and provocative portrayals of humanity. DIRTY MONEY - "Cartel Bank" : Follow the story of how banking giant, HSBC, became linked to Mexico's deadliest drug cartels. Directed by Kristi Jacobson, produced by Jigsaw Productions and executive producer Alex Gibney. 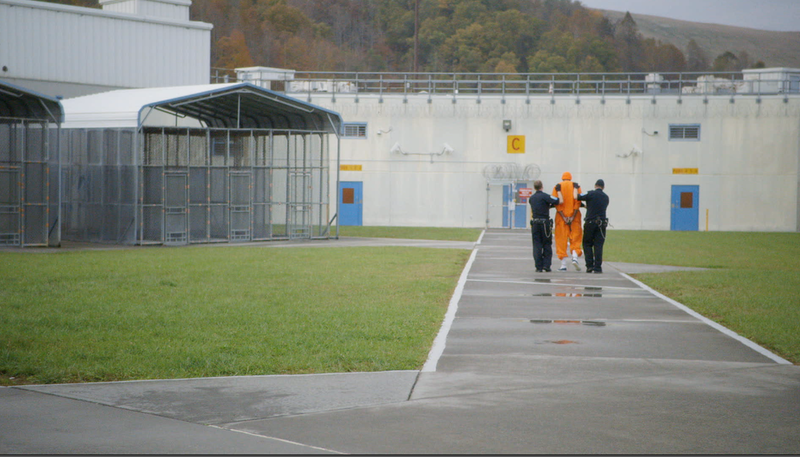 Kristi Jacobson's film SOLITARY is a daring exploration of the lives of inmates and corrections officers in one of America's most notorious supermax prisons. Watch SOLITARY on HBO! SOLITARY is a daring exploration of the lives of inmates and corrections officers in one of America's most notorious supermax prisons, built to hold inmates in 8x10 cells, 23-hours-a-day, for months, years and sometimes decades. With unprecedented access, the film captures a complex, unexpected and deeply moving portrait of life inside. Kristi Jacobson is an Emmy Award-winning filmmaker whose films capture nuanced, intimate and provocative portrayals of individuals and communities. Her film, SOLITARY, which provides an unprecedented and immersive look at life inside a supermax prison, premiered at the 2016 Tribeca Film Festival and made its broadcast premiere on HBO in Februrary of 2017. The film received several accolades including an Emmy Award for Outstanding Investigative Documentary and an Independent Spirit Truer Than Fiction Award. Her previous films include A Place at the Table, TOOTS, and American Standoff. Jacobson is a member of the Academy of Motion Pictures and Sciences, the Director’s Guild of America, New York Women in Film & Television, and a two-time Sundance Creative Producing Fellow. She is a recipient of grants from Tribeca Film Institute, Sundance Institute DFP, Chicken and Egg Pictures, and many others. Watch all things Catalyst Films on Vimeo!